The newly refurbished Heptonstall Methodist Chapel is hosting a concert by two local choirs, the Three Valleys Gospel Choir and Zarebi, on Saturday 24 March. Tickets are £7 or £5 concessions (including under-26s) and are available from Tony’s Post Office. 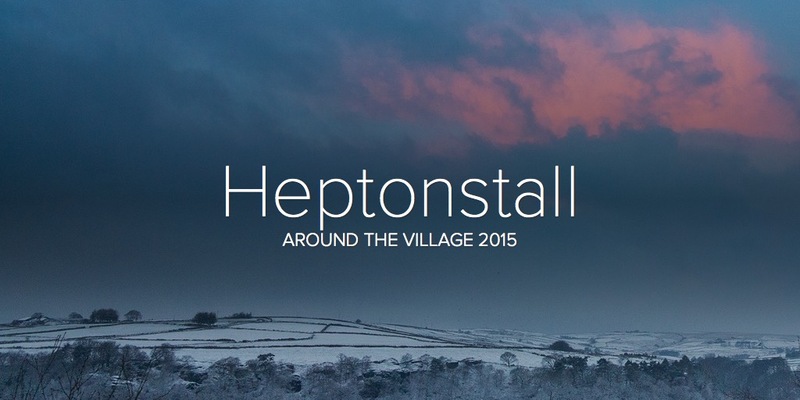 The new Friends of Heptonstall Chapel and Sunday School has received a grant of £3,000 towards a feasibility study of conversion of the Sunday School from Calderdale Council, plus a further £1,000 from Heptonstall Parish Council. Although this is not sufficient for a full feasibility study, it is a very good starting point towards the kind of level of detail that would be required for a large Heritage Lottery Grant application. A full study would cost about £6,000, and the group is looking at additional sources of funding. The Friends group will be spending part of this money on financial projections for a holiday let on the lower floor and public hall upstairs in the Sunday School, and on architect’s sketches for creating this with disabled access to both floors. When these are available they will be made public for comment. The Friends group is also looking at ways of forging stronger links between the Chapel and community. To this end, with the Church Council’s support, three local textile artists will display their work as part of the Hebden Bridge Open Studios event in July.If the Chapel renovations are not completed by then, they will use the Sunday School. The group is also hoping to organise a Gala production of an unusual version of Handel’s Messiah to be performed in the Chapel in Spring 2018. This will incorporate Easter sections of the piece not often performed and use young local soloists for a brighter sound than the traditional Christmas version. Come and bag a bargain at Blackshaw Head chapel on 11 February from 1pm to 4pm. Bric-a-brac, books, good-as-new, etc, with refreshments in Pat’s Pantry. All in aid of Cancer Research UK! A new exhibition celebrating the 250th anniversary of the Heptonstall Methodist chapel is now on show in the chapel off Northgate, which is open every day. 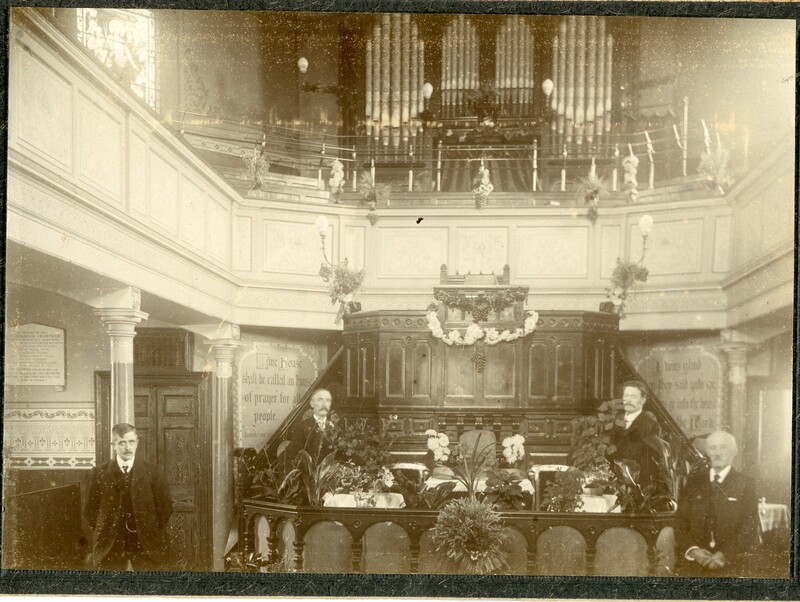 It includes Victorian photographs of the chapel and its celebrations, as well as pictures from the many popular pantomimes held in the Sunday School until the 1990s. A new website featuring more pictures and videos has also been launched as part of the celebrations. If you have more pictures or memories you would like to contribute, please get in touch through the website. If you want to prepare your baby for stardom, a leading role is available in the Heptonstall Methodists’ traditional nativity service. A baby is needed to play the part of Baby Jesus on Sunday 23 December at 10.45am. Willing candidates can be held by Mary or can chill out in their car seat next to the manger, depending on the parents’ preference. Any other children who would like to join in as angels, shepherds etc are very welcome to attend. Rehearsals are being held at 10am on Saturday 15 December and Saturday 22 December at the Octagonal Chapel. Anyone interested can contact Margaret on 01422 842550 or just turn up to a rehearsal.